Create, Prototype and Evaluate with Personal Data the User-Centered way. As designers, we are at the forefront of technological advancements that can have a huge impact on society. We draw from the flux of data and give new digital products a face with which people can interact. The source of our data is usually human; in the form of behavioural tendencies and personal information. We are able to take this information, reflect on it, create new ideas and validate our existing theories. Data allows us to design seamless services and beautiful things that benefit many people’s lives. It is important for designers to understand the sources of data, how to make the best use of it for their project, but also importantly: how to use it in a responsible and ethical way. The »Design Human Data« helps you to explore the possibilities of data and understand the context and consequences of using it. 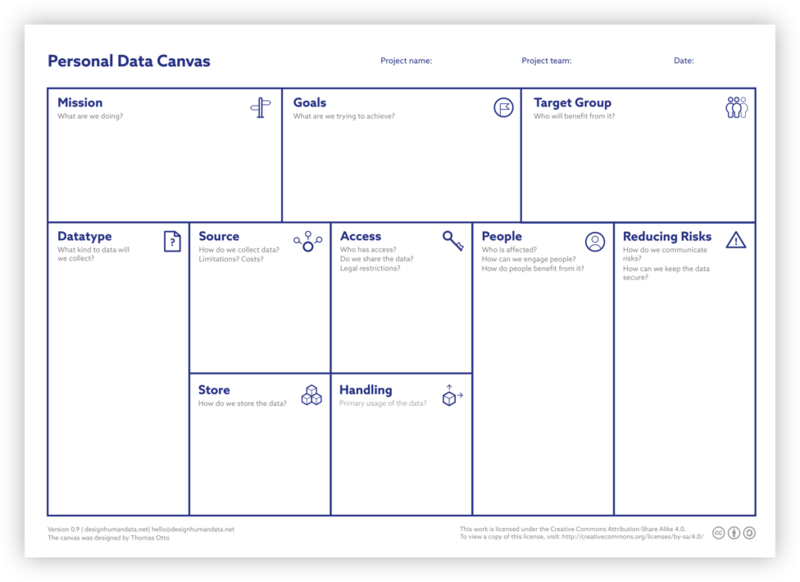 The Design Human Data Kit is a set of tools and information to enable designers and their interdisciplinary teams to create sustainable and user-centered data services. This includes basic information on personal data and tools for the design process to enable discussions on creating data services. 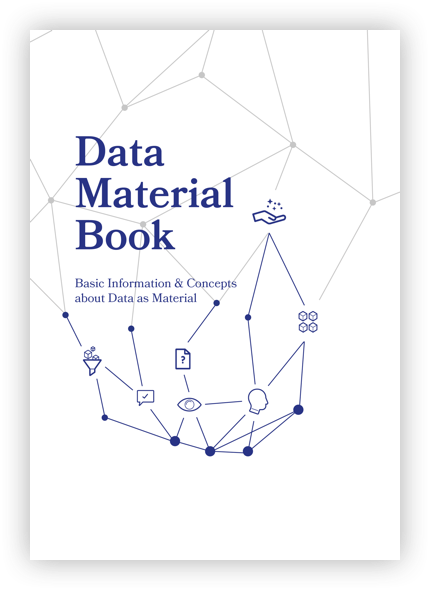 The Data Material Book helps you to build a basic under-standing of the topic data in the context of design. 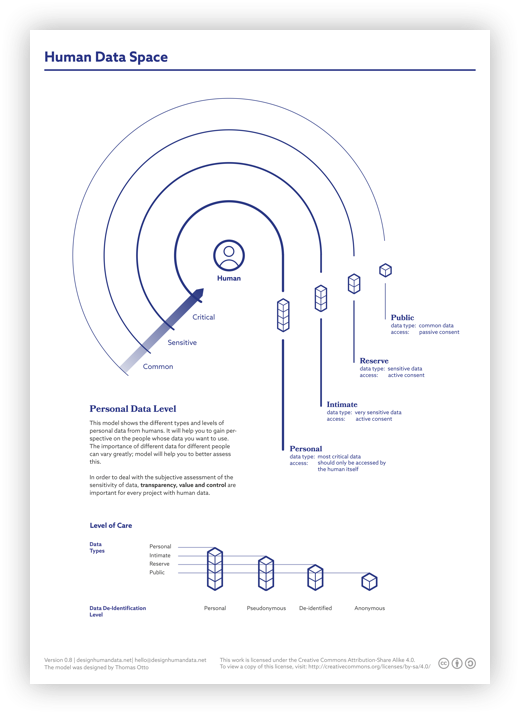 The Personal Data Cards help you to understand which data services & ideas are using. The Personal Data Canvas & Privacy Model help you to validate your idea in different perspectives. The kit can help you gathering experience and developing attitudes for the use of personal data. The Human Data Set was designed with the idea of sharing and spreading knowledge. Therefore all parts of the kit are available free of charge. This work is licensed under the Creative Commons Attribution-Share Alike 4.0. A book with all the basics about data with a focus on personal data. It contains tips and examples on how data can enrich the design process. 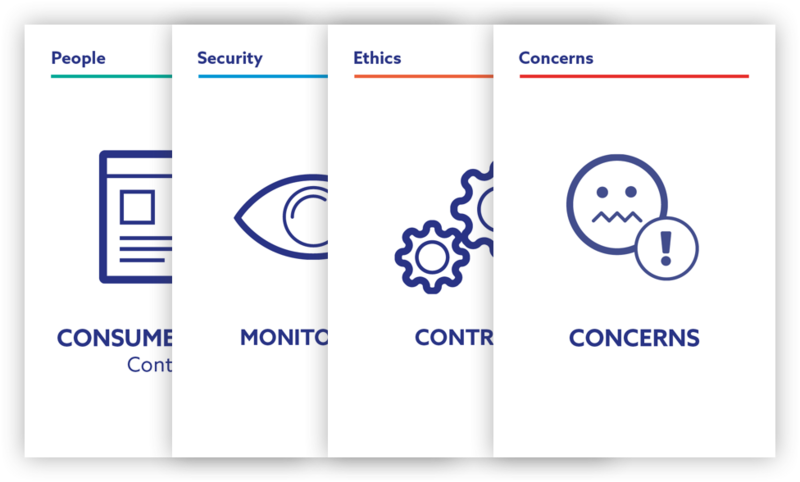 A compilation of cards to analyse and discuss aspects of people, ethics and security of data services. A model to help assess the sensitivity of personal data of people. A framework to examine the developed ideas through different perspectives.